A book for school. I liked it. Don't know how it would apply to a social studies classroom, though. It started with a simple observation: students need their teachers present to answer questions or to provide help if they get stuck on an assignment they don't need their teachers present to listen to a lecture or review content. From there, Jonathan Bergmann and Aaron Sams began the flipped classroom-students watched recorded lectures for homework and completed their assignments, labs, and tests in class with their teacher available. What Bergmann and Sams found was that their students demonstrated a deeper understanding of the material than ever before. This is the authors' story, and they're confident it can be yours too. 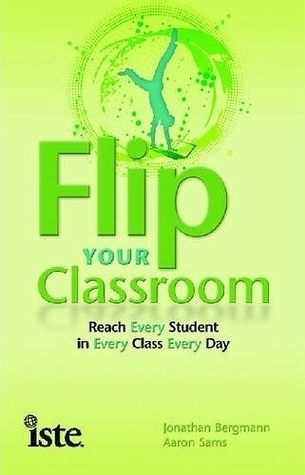 Learn what a flipped classroom is and why it works and get the information you need to flip a classroom. You'll also learn the flipped mastery model, where students learn at their own pace-furthering opportunities for personalized education. This simple concept is easily replicable in any classroom, doesn't cost much to implement, and helps foster self-directed learning. Once you flip, you won't want to go back!